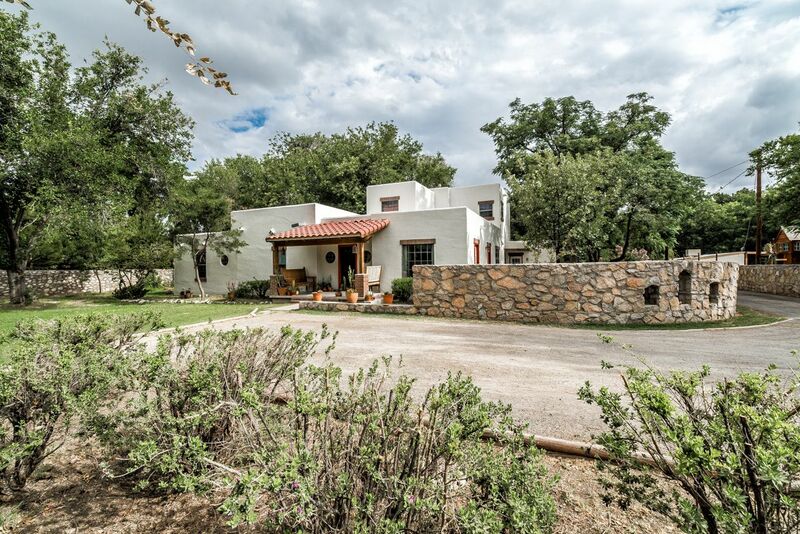 Beautiful Upper Valley property on 1.1 acres with Irrigation and horses allowed. Charming home originally built in the 1940's had a huge face lift in 2004 to include plumbing, electrical, roof, windows, 2nd story for a fabulous master suite, gourmet kitchen and more. Enter this home into a welcoming gallery with high ceilings leading to living room and dining room. Masterfully designed elevated kitchen with gas stove, pantry w/ pull outs, wood looking tile and breakfast bar open to family room and breakfast area. Cozy family room with brick fireplace, tile floors and breakfast area all looking out at private backyard. Kids wing with first bedroom/ Office and three more bedrooms with 2 full baths. Master Suite upstairs with walk in closet, bubble tub, separate shower and double vanity. Huge laundry area with 1/2 bath and lots of storage. Lush backyard with playhouse, fruit trees, climbing trees, barn and additional multi purpose building.